This Soothing Mask is organic, vegan and cruelty-free. It cleanses and detoxifies the skin, while refining pores and brightening the complexion. According to the website’s description, their unique blend of ingredients work to treat inflammation, reduce redness/discoloration, rebuild skin cells, tighten, firm, and improve overall complexion for healthy, glowing skin. The mask comes in a powdered form which helps to keep it fresh! Upon opening the product, I was met with a pleasant, earthy aroma with hints of peppermint. The bamboo utensils and bowl set made the application mess-free and easy! After a few minutes, the mask dried to that satisfying my-face-is-about-to-crack feeling. The directions on the container say the mask can stay applied from 10 to 30 minutes depending on your skin’s sensitivity. To remove the mask, you use a damp cloth and warm water, pat dry and follow up with some moisturizer. I was curious about the product’s ingredients. 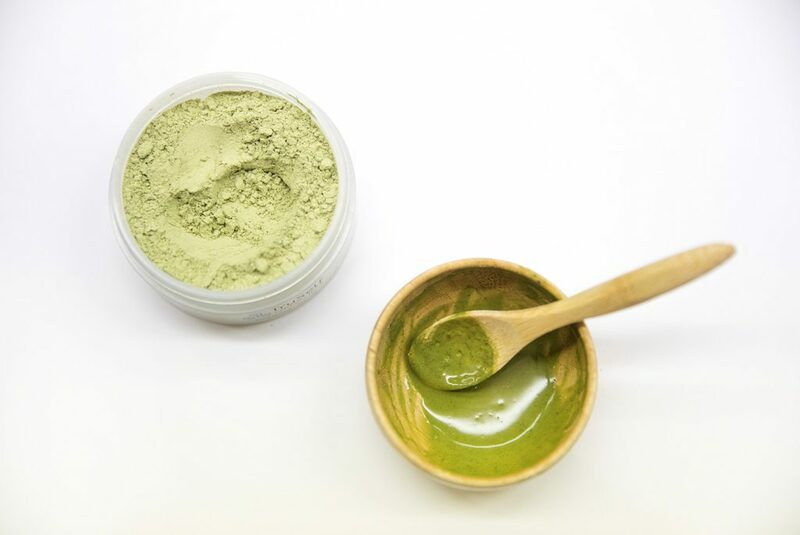 The company’s website states the active ingredient is organic matcha from Kyoto, Japan. 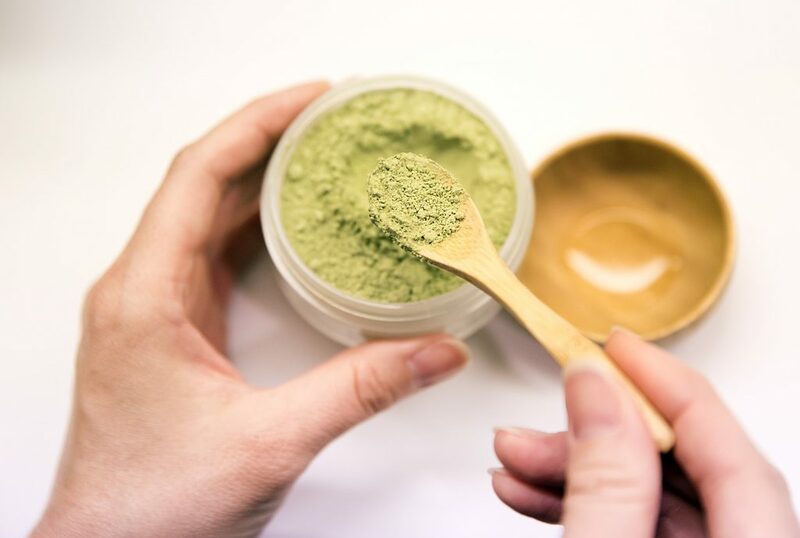 Matcha relieves inflammation and improves your overall complexion by exfoliating the skin, removing dirt and toxins. The mask also contains organic cucumber and peppermint. These ingredients contain anti-inflammatory components and antioxidants! The peppermint gives a cooling sensation that leaves the face feeling refreshed. 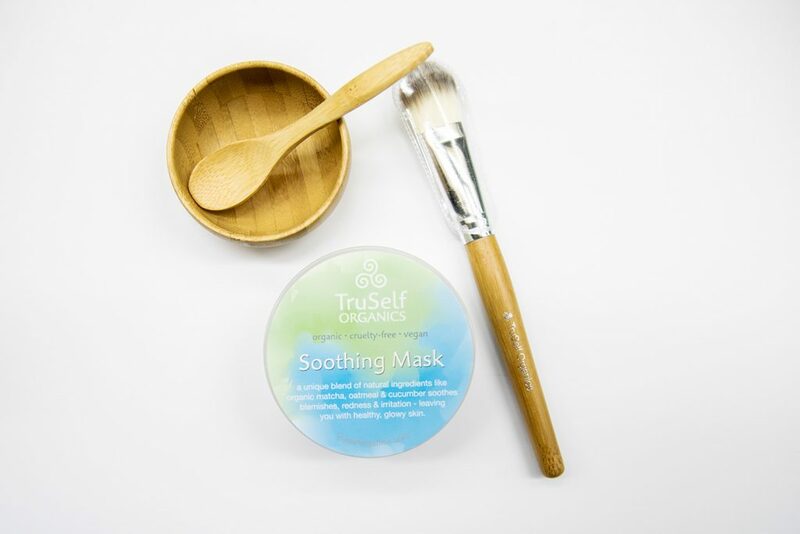 The last ingredients within the Soothing Mask is Kaolin clay and oatmeal. The clay exfoliates and detoxes, while the oatmeal replenishes moisture into the skin and evens out the texture and tone! Step 1: Rinse your face with water. 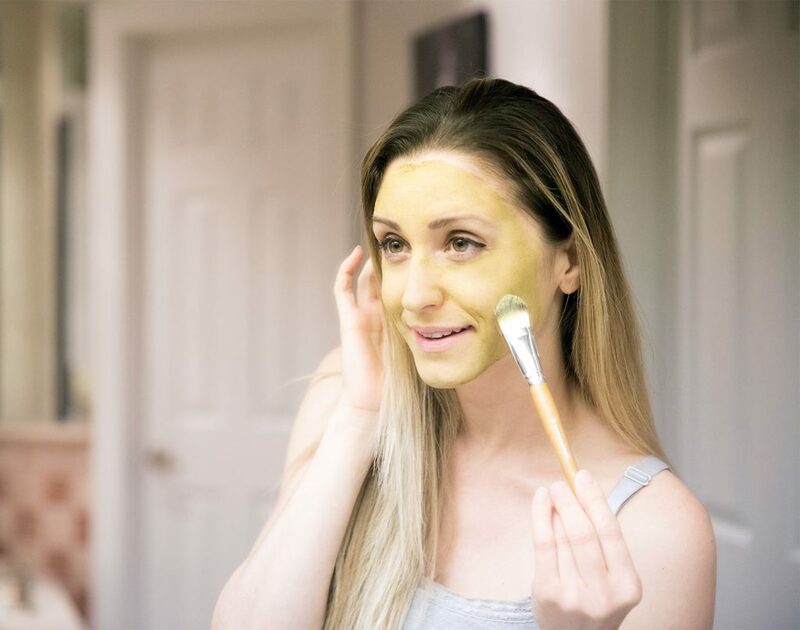 Step 2: Mix two scoops of mask with one-and-a-half scoops of filtered water….don’t stress about getting a perfect consistency – just aim for a creamy clay and add more water or mask powder as needed to figure out the consistency you and your skin like best. Step 3: Once the mixture is smooth, smear that good stuff all over your face! Keep it about one centimeter away from your eyes and lips. Step 4: Let that goodness dry and do its thing. 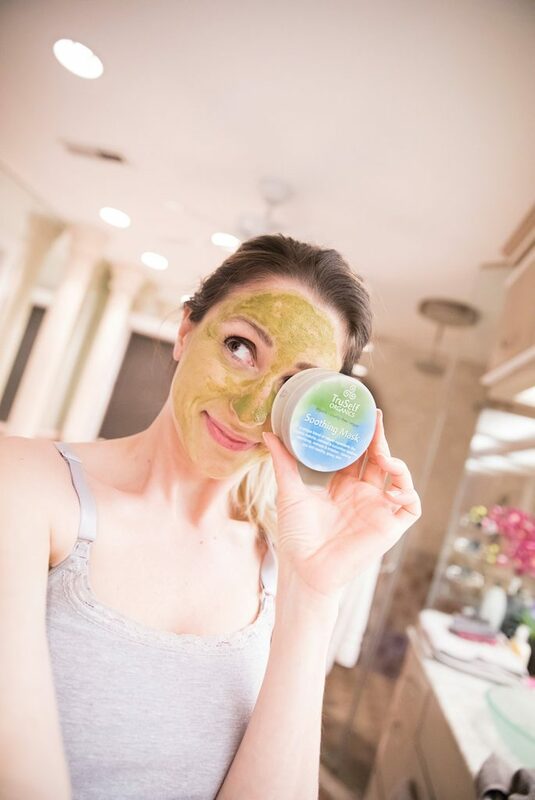 Your skin will feel a little bit tight, but don’t worry…the mask is just working its magic. Step 5: Remove with warm water and our Super-Soft Bamboo Cloth for best results. Make sure to follow up with a cleanser and moisturizer. Tip: Your skin may need some time to get used to the masking process. Begin by applying the Soothing Mask 2-3 times per week for 10-15 minutes to start. Once your skin adjusts, you can increase your usage to 3-4 times per week for up to 30 minutes. My skin definitely felt cleansed and soft, and looked noticeably freshened and evenly toned. Overall, I really like this mask. I loved how smooth and refreshed it left my face. I also liked being able to control the amount of mix to achieve the desired consistency. Have you ever been so thirsty that you feel like you have a desert in your mouth?! Well after you wash off this clay mask, your face feels like it just got that gulping dose of water. Being that it is both vegan and cruelty-free is also a huge plus, because let’s face it, animal testing for beauty products is completely unnecessary. I really loved the final results and will definitely be using this mask again! Lastly, it works on all skin types, so everyone can use it – Huge Bonus! 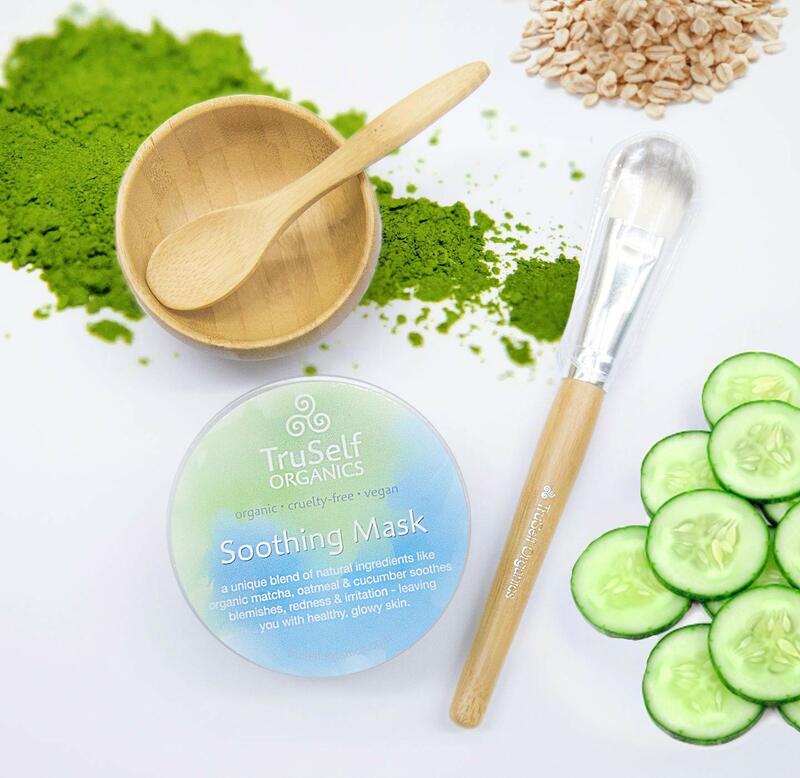 Soothing Mask is made up of a proprietary blend of: White Kaolin Clay, Organic Matcha, Colloidal Oatmeal, Cucumber Powder, Organic Peppermint Leaf Powder.